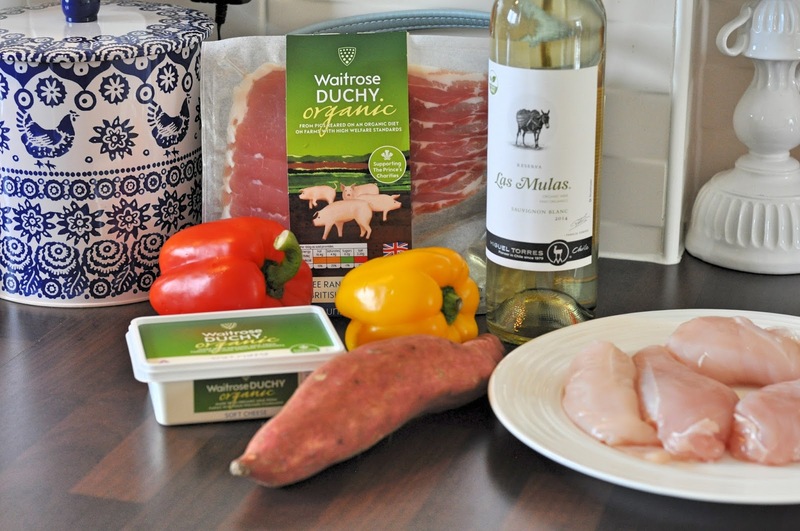 September has been crowned Organic month by the Soil Association. To celebrate the best of British organic produce, Waitrose have a whole heap of great recipes using their Duchy range. Its a great time to discover some new ingredients, recipes and to help you do so, some great in-store offers. Whilst supporting British farmers, by choosing organic fruit, vegetables, meat and dairy you're choosing proper food, produced with no chemicals in a sustainable way to both animals and the environment. 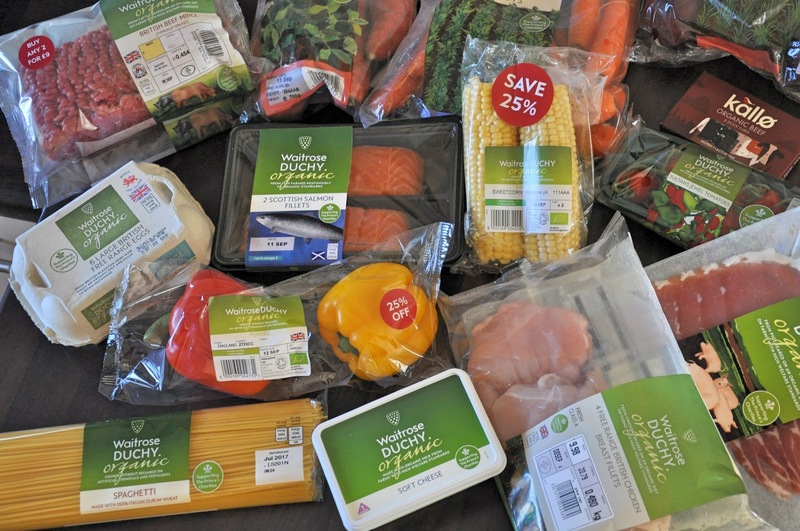 By making just a small changes during your weekly shop you'll be helping to make a big difference and choosing food that just plain tastes great. To start, I went back to basics with a classic spaghetti bolognese. My favourite recipe is just a simple one from the Masterchef Cookery Course book, and I add in some Marmite for extra flavour. 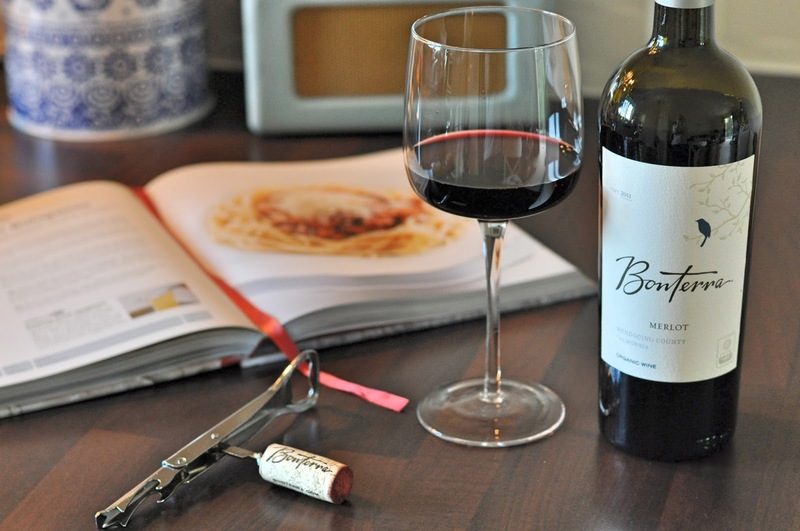 Make this when you get in from work, add a splash of Merlot (not too much, you need to drink the rest) and leave it to gently simmer away until you're ready for dinner. I was amazed by how bright and fresh the beef mince was and the bacon was thickly sliced. Miles apart from the mince you usually see in the supermarkets. Paired with Bonterra Organic Merlot Mendocino which has a full, silky plum flavour made with organic grown grapes. A classic recipe I love to make in bulk and freeze in batches. 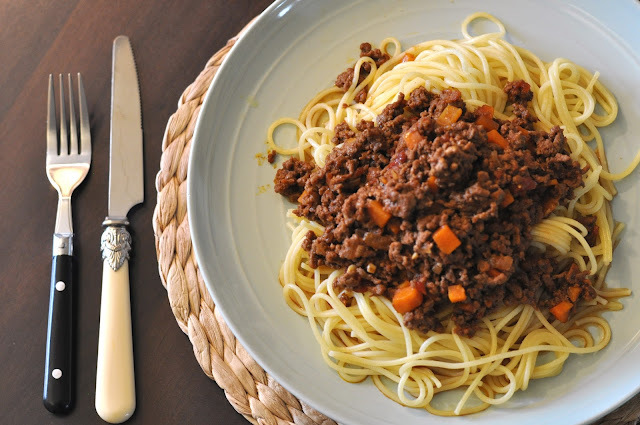 So versatile too, I like bolognese with pasta, spaghetti, jacket potatoes, mash potatoes or in a sandwich! Another simple recipe that takes little effort, but its vastly improved with some great ingredients. And, another use for that brilliant bacon. I butterflied the chicken breasts, spooned in lashings of cream cheese, wrapped in strips of bacon and plonked them in the oven with sliced peppers to roast for 20-25 minutes. Served with sweet potato mash, which is an entirely different colour and so much sweeter than regular sweet potatoes I've bought in the past. 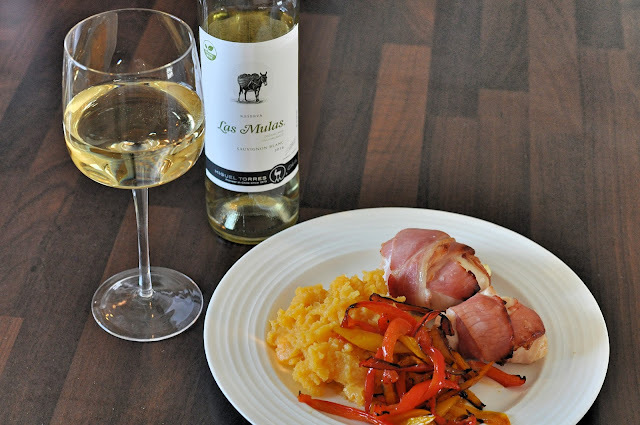 The Miguel Torres Las Mulas Organic Sauvignon Blanc is crisp, refreshing with tropical and citrus notes. Perfect with chicken. I love that this is named after the mules that work in the vineyards! 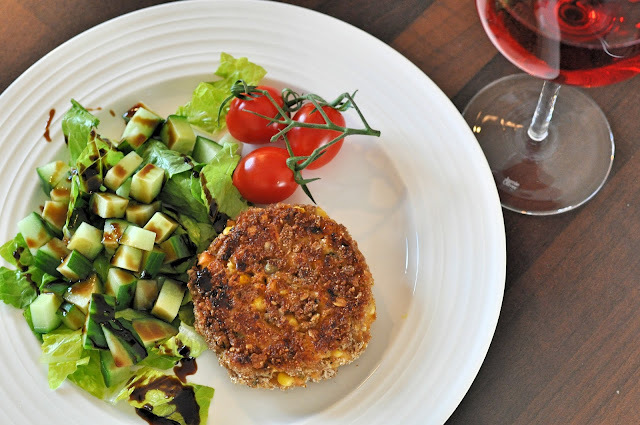 My absolute favourite recipe of the week and a great way of using up what's in the fridge with some fresh salmon. No real recipe for these, but as a guide, I made 6 with 2 fillets of salmon. Cook the salmon under the grill for 10 minutes until just cooked and flake into some left over sweet potato mash, add chopped spring onions, sweetcorn or whatever's lurking in the fridge. A generous squirt of BBQ sauce, seasoning and squidge into shape. Dust with flour, beaten egg and breadcrumbs in turn. To cook, add a little oil to a pan and fry for 4 minutes on each side. 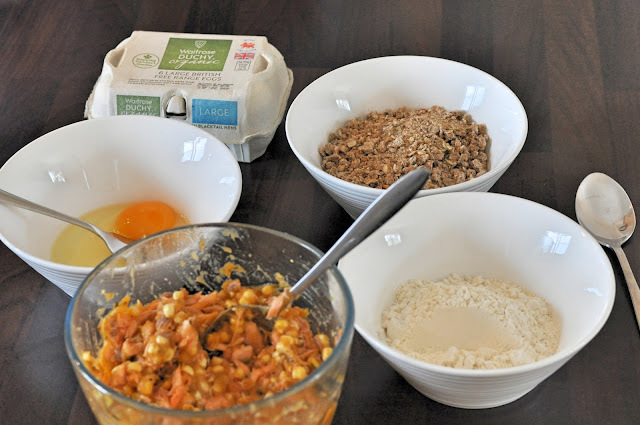 You may think it a little strange, but in place of my favourite panko crumbs, you can also use crushed cornflakes or, like I did here, ryvita crispbreads to give a perfect crunch! This time, I opted for a nice Rosé to go with the fish. 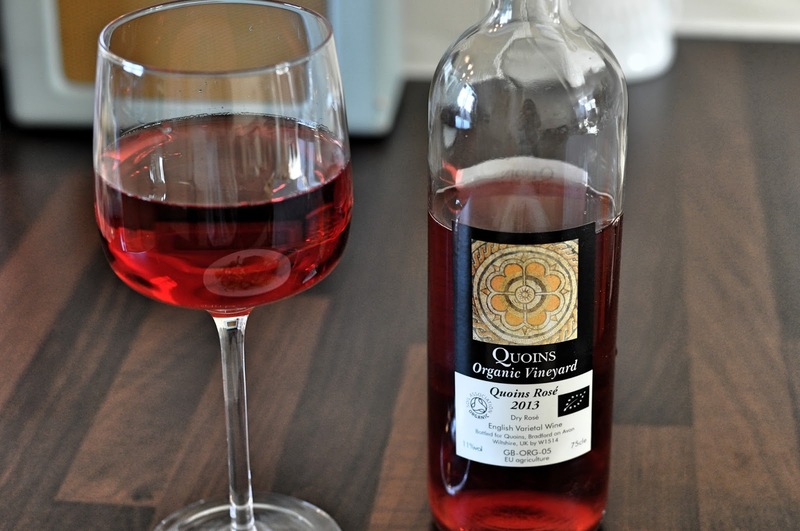 The Quoins Rosé is delicate and fresh with a great flavour of cherries and strawberries. During the week I really enjoyed making these meals and spent more time thinking of the individual ingredients rather than the recipe as a whole. And that's exactly the idea, by making just a few swaps to what you'd already buy you're making such a difference and everything tastes so much better! To find out more about the Duchy Organic range and the Prince's charities, take a look here. And if you fancy trying some organic wine, the Waitrose Cellar has some great choices. *I was given a giftcard to purchase ingredients in exchange for a mention of Organic September. All opinions are my own, that salmon is well worth a few extra pennies! Also: MARMITE IN BOLOGNAISE? I can't decide if that's sacrilege or genius. I love Marmite in everything, I usually put chocolate in my chilli or bolognaise. 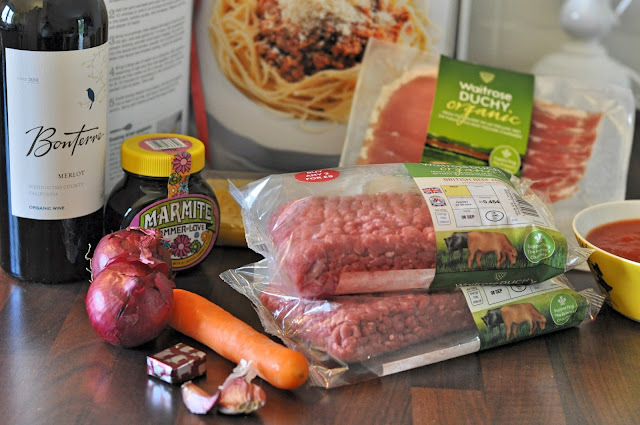 Although I avoid mince like the plague as I'm scared of eating horses, organic mince could change it for me!